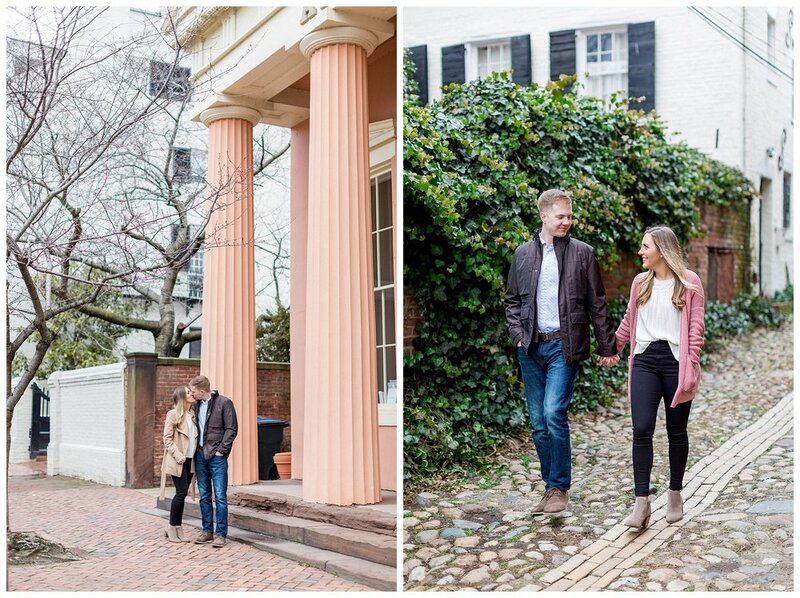 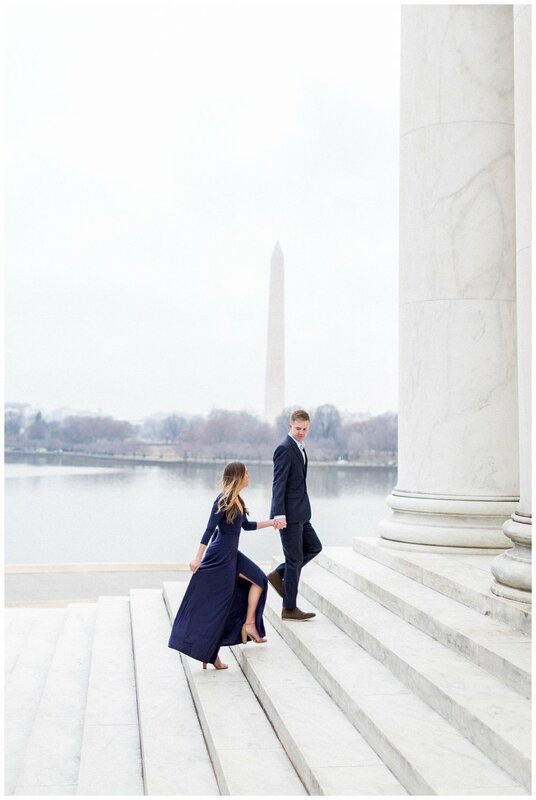 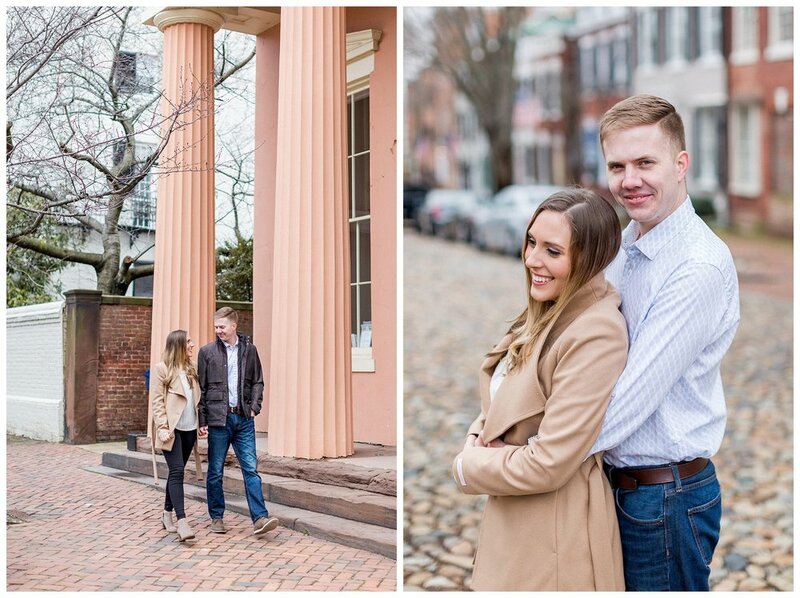 Amy and Cam braved the cold weather to have their iconic Jefferson engagement session at the first week of spring! 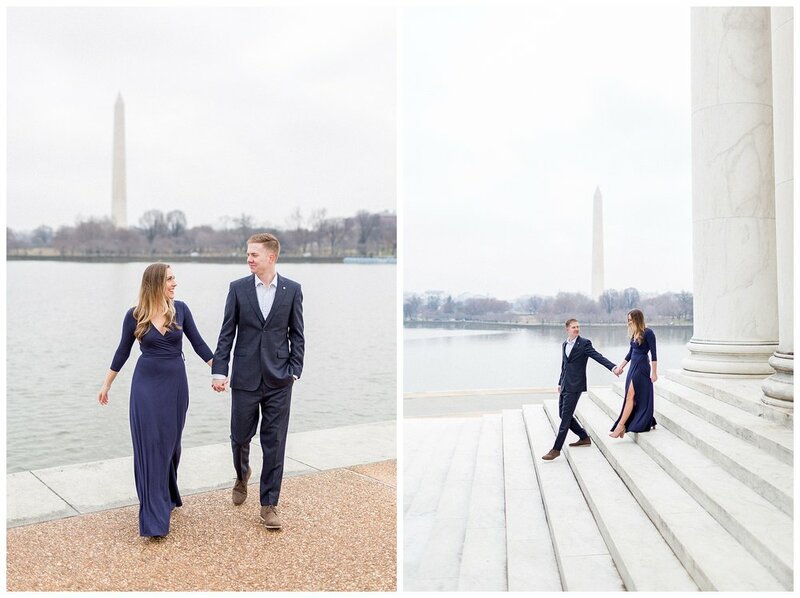 Since it was an overcast morning, we started this session at 8AM! 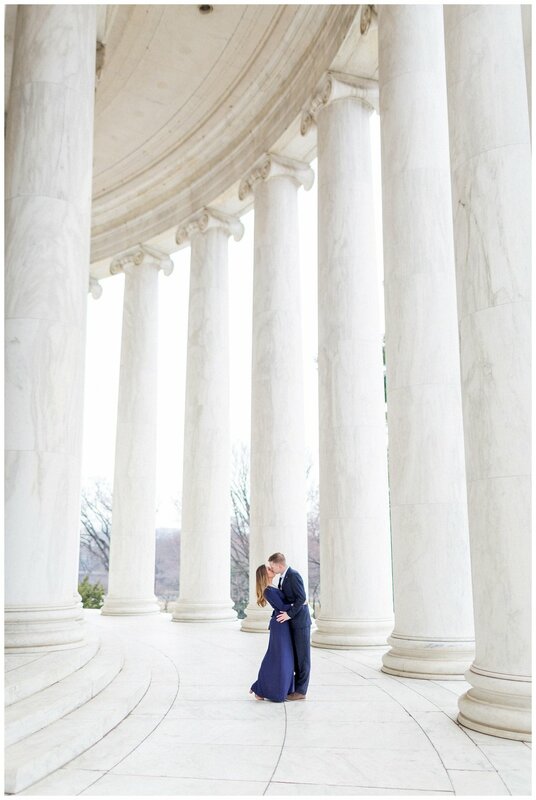 We had the Jefferson Memorial all to ourselves and were met with nothing but even light! 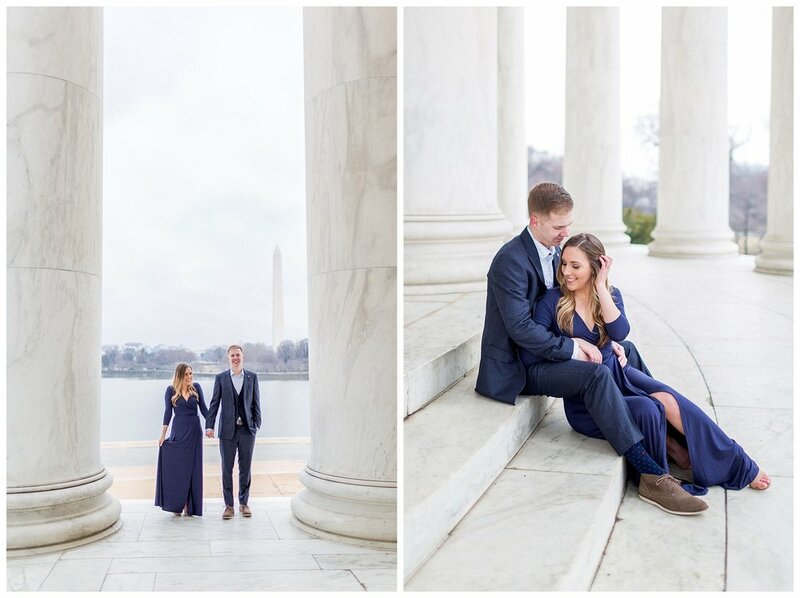 We explored all around the tidal basin before heading to Alexandria where these two lovebirds live. 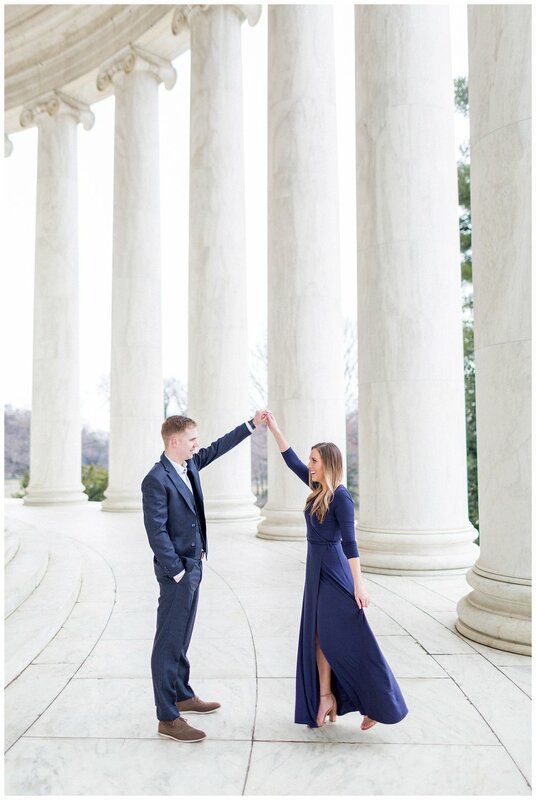 Amy & Cam are effortless around one another. 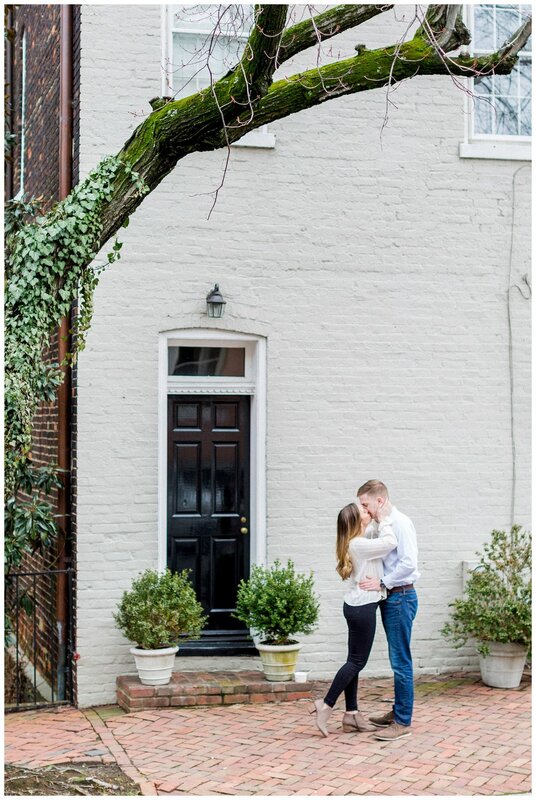 They have been dating for years and seem to have an easy and loving relationship. 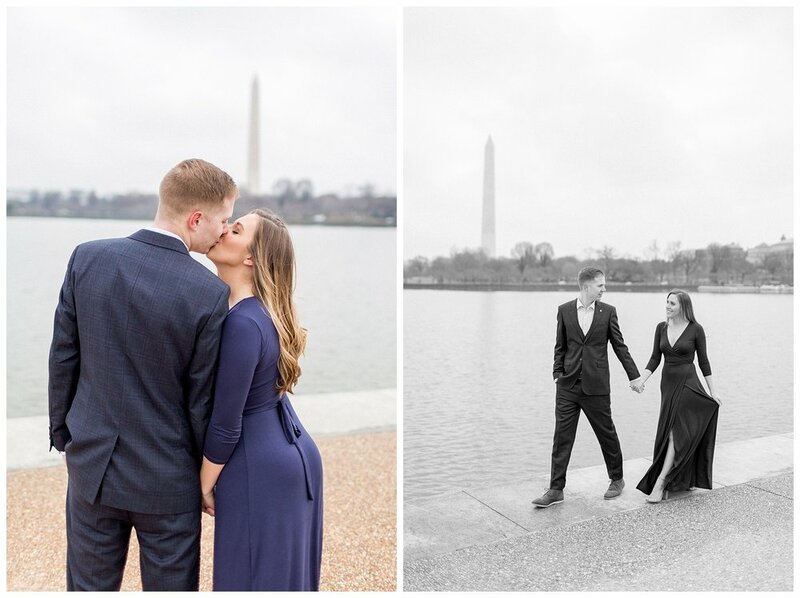 Both being from the south, they plan to tie the knot in Georgia with friends and family all in one place for an entire weekend! 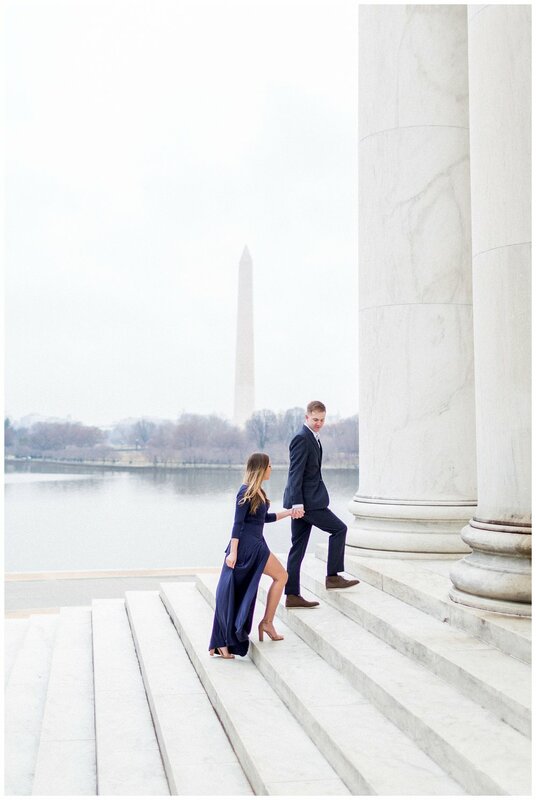 There may even be a waterfall involved!! 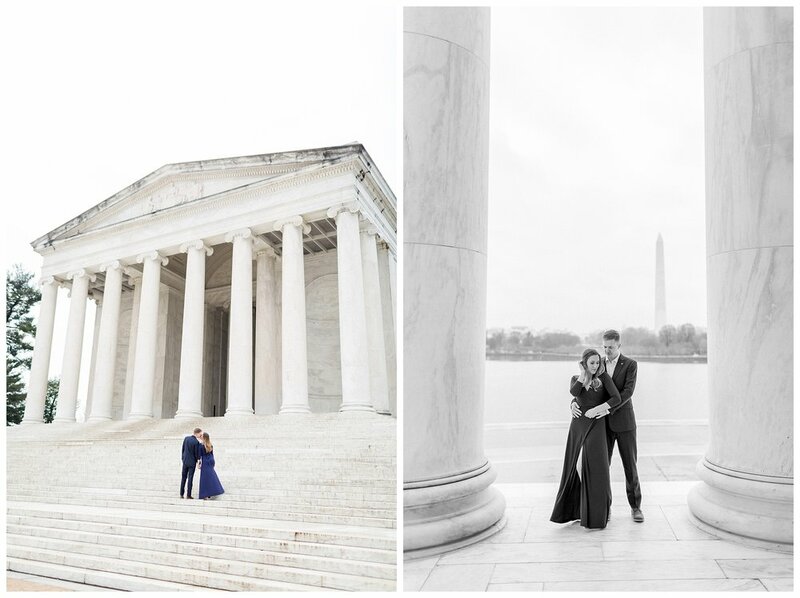 Here are my favorite snaps from their morning at Jefferson!